"Is Agile Architecture just another marketing exercise on the Agile band wagon? Or does it really exist? And if so, what is it?" We want to be Agile. Everyone is at it. However we would also like our Architecture to be Agile too. But what is meant by Agile Architecture? It seems most people miss-represent it as a flexible process towards Architecture delivery. Or just modelling the process in a using established design techniques. In other words how people should do it, rather than what it actually is. This is why a lot of people talk about how Architecture can live and work with the Agile team, rather than what Architecture an Agile team should be actually be delivering. SAFe Agile Architecture , Agile Architect website , Agile Architecture Process presentation , Agile and TOGAF . 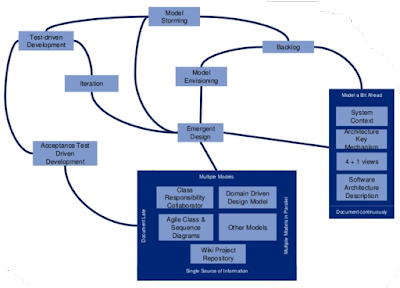 Disciplined Agile Framework (formally DAD)  and presentations on Agile Design , more Agile Architecture with Design Modelling . All this does not tell us what it is. 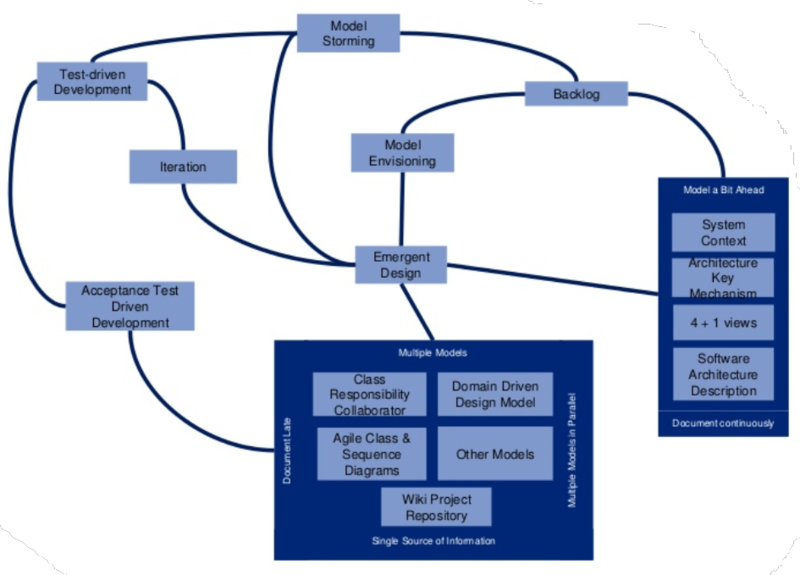 We need a definition of what an Agile Architecture should be, before we wonder how to do it. Luckily this has been done for us. In July 2013 several industry veterans (most notably from the company Typesafe) got together to publish a document called the Reactive Manifesto . Then the question becomes is it an Agile Architectural approach? is aligned to the Agile manifesto like so: "Individuals and interactions"
As is the Agile way it has evolved to next version with this Blog entry on the next version 2.0  of the Reactive Manifesto. Thus it has evolved through iteration just like my poster and this is why since version 3.1 of my Agile Development Poster  the Reactive label has been added as part of the Strategy section. 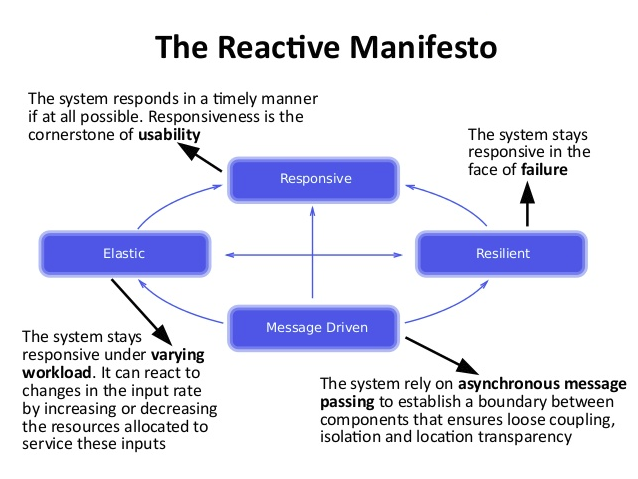 It is clear to me that the Reactive Manifesto is what Agile Architecture really is. Hence the title of this blog post. As is the case with Agile now we know the What, how you implement the Agile Architecture is up to you.